Venom from the giant red bull ant is helping University of Queensland scientists understand the evolution of animal toxins, which could ultimately lead to new and better treatments for pain. 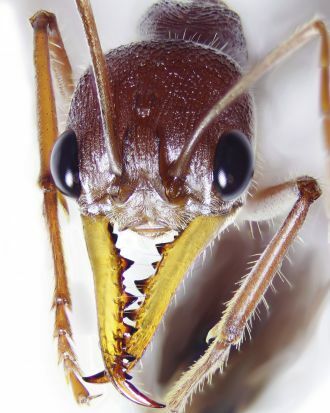 Researchers from the UQ’s Centre for Advanced Imaging and Institute for Molecular Bioscience completed the first comprehensive study of ant venom, which revealed toxins that stimulate the human nervous system to cause pain. Funder: Australian Research Council and National Health and Medical Research Council. 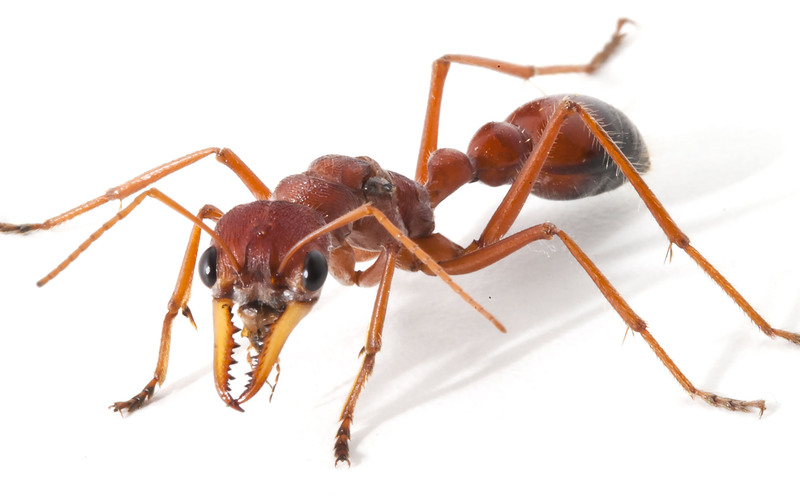 Venom from the giant red bull ant is helping University of Queenslandscientists understand the evolution of animal toxins, which could ultimately lead to new and better treatments for pain. Researchers from the UQ’s Centre for Advanced Imaging and Institute for Molecular Bioscience completed the first comprehensive study of ant venom, which revealed toxins that stimulate the human nervous system to cause pain. Dr Eivind Undheim said while the venom of related bees and wasps had been a subject of research for some decades, ant venom had remained largely unstudied. “But despite the ubiquity of ants, analysing their venom has been neglected by researchers, likely due to ants’ relatively small size and venom yield, and also to the widespread misconception that they produce a simple acidic venom. Giant red bull ants, also known as Myrmecia gulosa, are an Australian species of ant with a notoriously painful sting; the ants in this study were adult workers collected from a single colony near Brisbane in Queensland. Dr Samuel Robinson said revealing the chemistry behind animal stings could help us better understand our own pain physiology and contribute to the development of new pain treatments. The study was published in the scientific journal Science Advances, and was supported by the Australian Research Council and National Health and Medical Research Council of Australia. Giant red bull ant - Myrmecia gulosa. Attribution: Dr Samuel Robinson & Dr Eivind Undheim, The University of Queensland.